Highcliffe -on-sea is nestled in a wonderful, unspoilt part of South East Dorset, and is only 90 minutes from London by road. It boasts some of the best weather in the country, with less rainfall and more sunshine than surrounding areas. It is an ideal location for exploring the many attractions in the area, which offer all year round appeal to both visitors and locals alike. 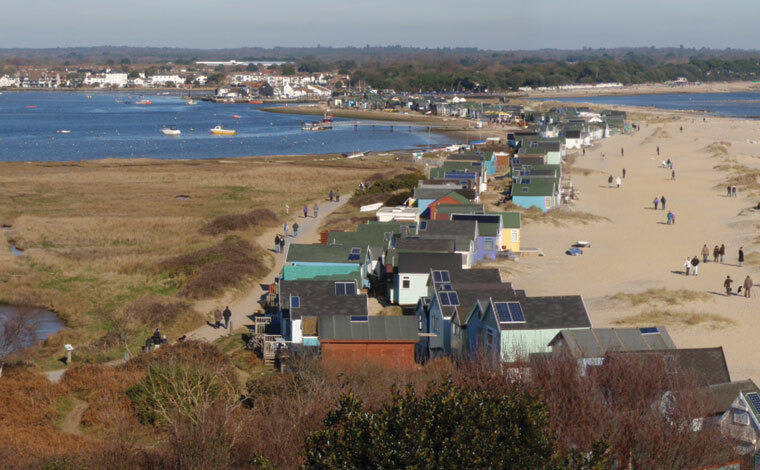 Within a few minutes short drive away, is Mudeford Quay; situated at the entrance to Christchurch Harbour and providing spectacular views out to sea. The Quay is an ideal place to observe at first hand traditional commercial fishing, or to enjoy a speed boat cruise to the needles at the Isle of Wight. A variety of wonderful produce is available at the fresh fish stall, often visited early in the mornings by some London restaurant owners. The Quay is also a popular sailing and windsurfing centre throughout the year, and the venue for a number of regattas. 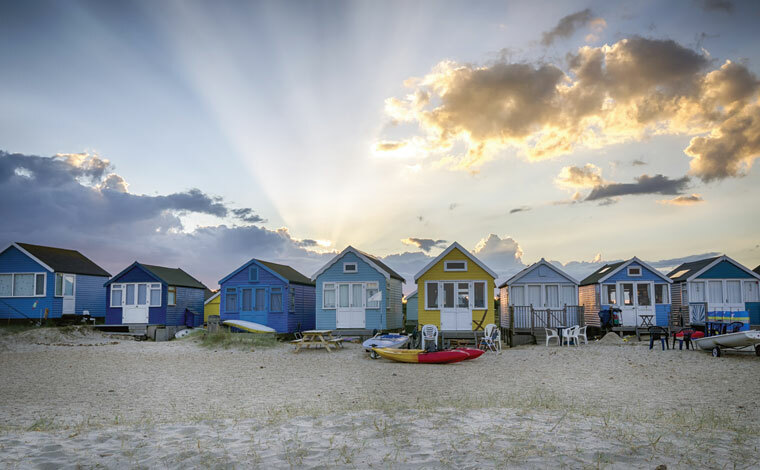 Just along from Mudeford Quay is the dramatic headland of Hengistbury Head, with it’s incredible variety of habitats including grassland, heathland and freshwater wetland. Access is available for all ages and abilities, and there is a very popular land train run by volunteers which takes visitors along the head, past the stunning row of highly desirable beach huts and the popular Beach House Café. Christchurch is a spectacular historic town, and one of the most popular places to visit in the area. It has a number of key historical sites in the main town, including two castle sites, a magnificent Priory and a medieval bridge. The High Street offers a range of independent shops, and a large traditional market is held there every Monday. The Regent Centre, also located on the High Street, offers opera, ballet and a variety of theatre. 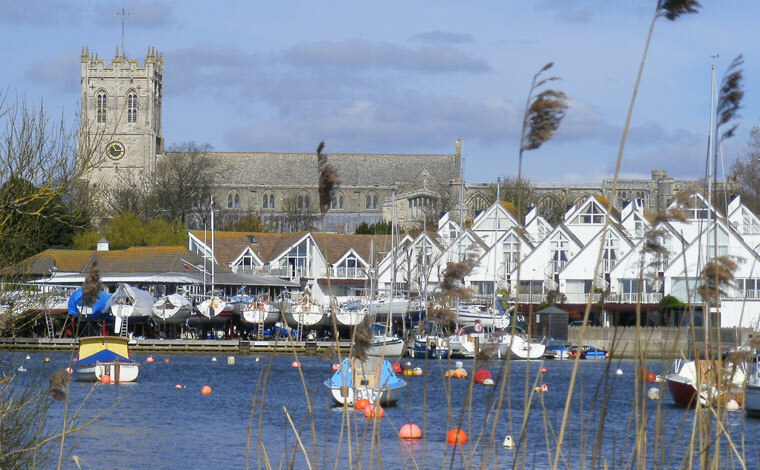 Christchurch Quay, set alongside the river has a lovely feel, with a park, bandstand, boat trips to Hengistbury Head and the sister restaurant to the Beach House Café, The Boat House. Lymington is a stunning Georgian town, with cobbled streets, and many independent shops including designer boutiques, providing an upmarket feel. It has a worldwide reputation as a sailing resort. Lymington also offers a regular ferry service to the Isle of Wight. Chewton Glen, a ten minute drive from Highcliffe, is a magnificent 5 star Country House Hotel and spa in it’s own grounds. A member of the prestigious Relais et Chateaux group, spa membership is available to new members; The Dining Room offers a full restaurant experience, whilst The Kitchen, created by James Martin, offers more relaxed dining in the hotel grounds. At nearby Barton on Sea, you will find a range of quality places to eat, including the popular Beachcomber Café, and Pebble Beach restaurant with rooms on the cliff top. For those who enjoy a spot of golf, there are 3 golf clubs within a few minutes drive away: Highcliffe Castle Golf Club, Barton-on-Sea Golf Club and Burley Golf Club in the New Forest.